Welcome back to the 'Study and Exam Skills' series – this is the part of our 'Go The Distance' course where we share top tips for academic success with short, fun animated videos. This time we're looking at a key area of academic study: preparing for written assignments. Do you understand your academic assignments? Assignments. You have your question – but where to begin? Why not just start writing? Probably not the best option. How about this? Start by understanding the task – and watch the video to find out more! 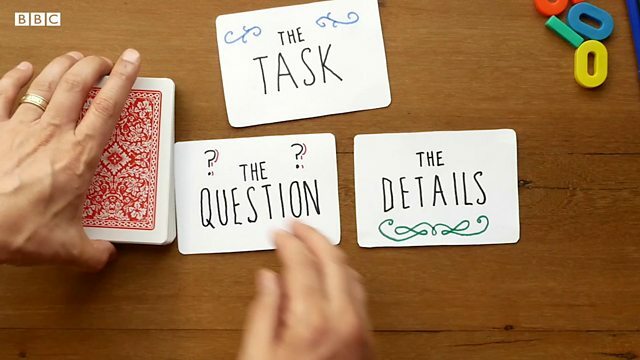 Play your cards right for writing success! It can be hard to know where to start with your written assignments – but don't just rely on guesswork to decide where to begin! Start by looking closely at what you have to do – so you can understand the question and the details. Watch the video. See if you can pick up FOUR tips for understanding the details of written assignments, and the meanings of SEVEN 'process' or 'instruction' words (write them down if you like). Check your answers – with two activities – later on this page. Assignments. You have your question - but where to begin? Why not just start writing? Probably not the best option. How about this? Start by understanding the task. Now, a task has two main parts: there is of course the question itself, and then we have the details. Let's look at these. What do we mean by 'the details'? Firstly, what kind of assignment is it? An essay, a report, a short-answer assignment, or maybe something else? Secondly - this is an important one - when do you need to submit? Thirdly, how will it be marked? 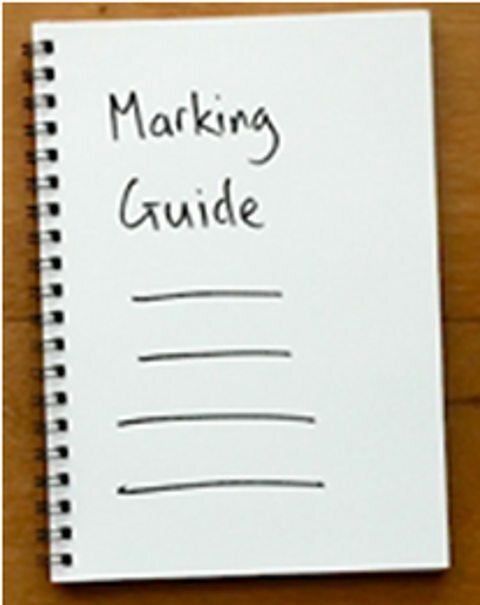 Find out if there's a marking guide or a list of assessment criteria. And fourthly, is there a word limit? Knowing these four things can help you plan how much time you need to spend on the assignment. And then, we have the all-important question itself. Let's imagine you're studying literature. Questions have key words. We have 'process words', also called 'instruction words'. These tell you what you need to do. And 'content words and phrases', these tell you the topics to be focused on. 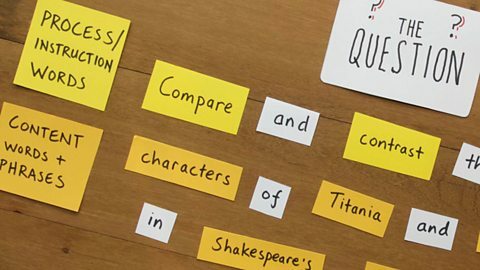 'Compare' means show similarities and differences between things. Perhaps show which is preferable. 'Contrast' means to look for differences between two things. 'Evaluate' or 'criticise' means to make a judgement about something, based on evidence, not based on personal opinion. 'Define' means to give exact meaning, or meanings, of a word, phrase or theory. 'Discuss' means to explore an issue, giving both sides and looking at any related issues. 'To explain' means to give details about something, and the reasons behind it. And to 'justify' means to give reasons and evidence supporting a point of view. So, take time to really understand what the question is asking. Decide what subjects you need to look up, and organise what you need to do. We also have a separate video on using sources in assignments. Ah - now all you need to do it the hard work. We're sure you'll ace it! Check you've understood the four key details about academic assignments and seven process words with this activity. What kind of assignment is it? 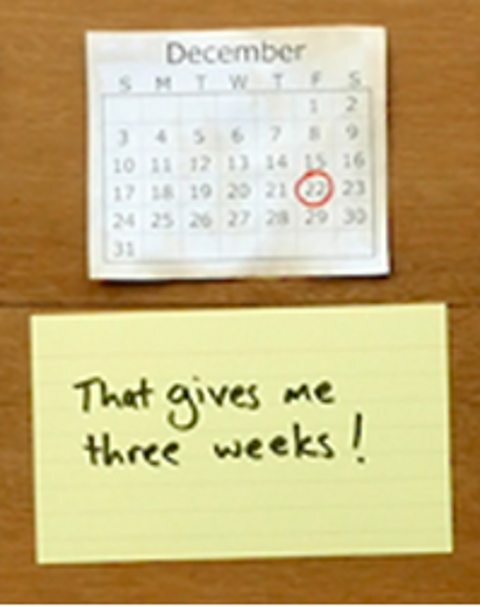 When do you need to submit the assignment? How will the assignment be marked? How many words do you have to write? Now you know what to do for your assignments, let's take a closer look at question words in academic writing assignments. Go to the next activity to check what you've understood.